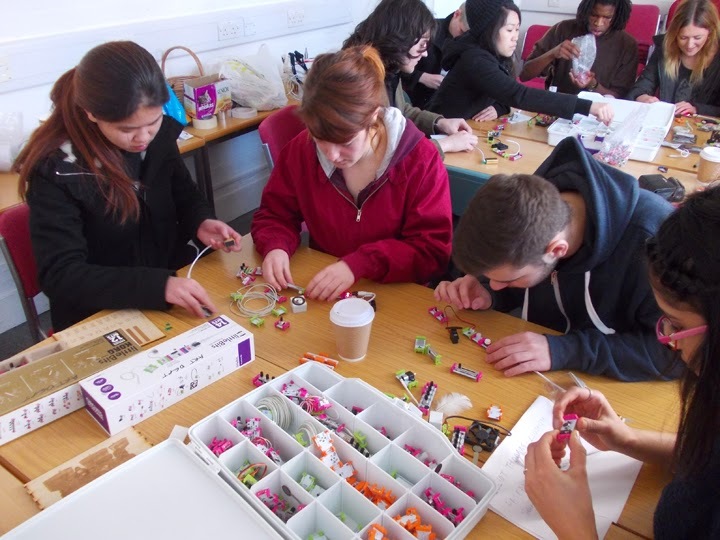 During the session we introduced the group to littlebits. 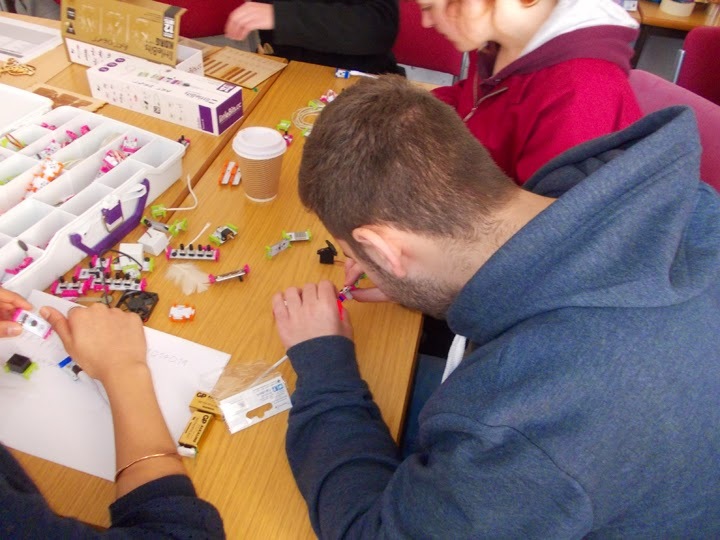 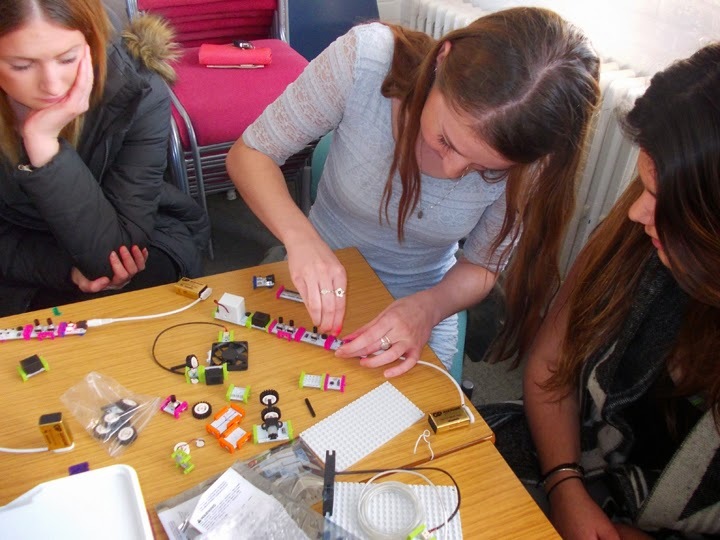 We asked everyone to suggest ideas for outreach workshops where we could use littlebits. 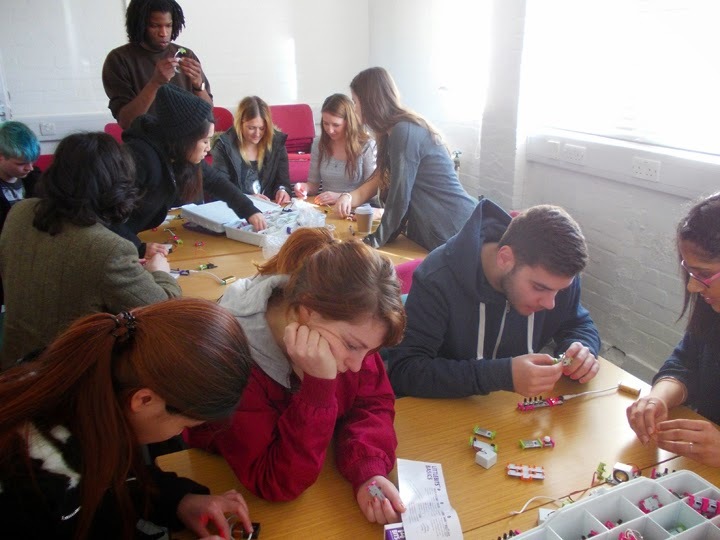 Some initial experiments from the group, some interesting sounds being made and ideas for kinetic structures. 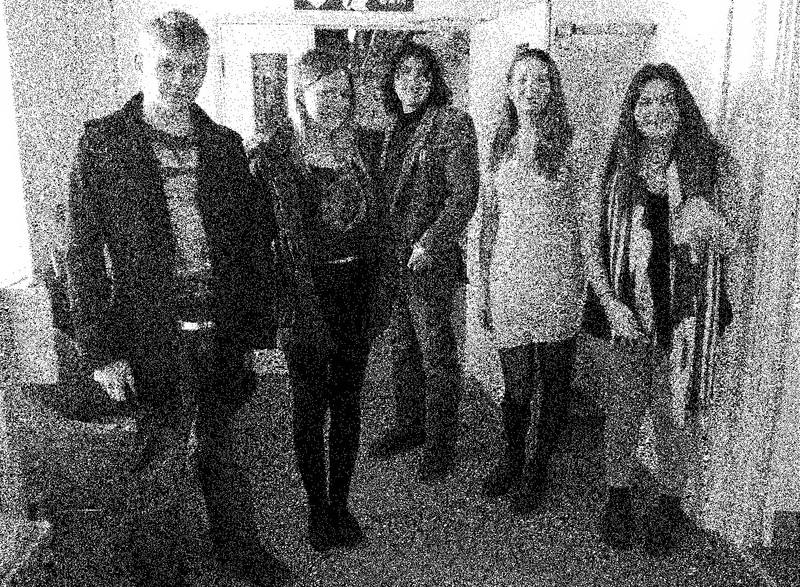 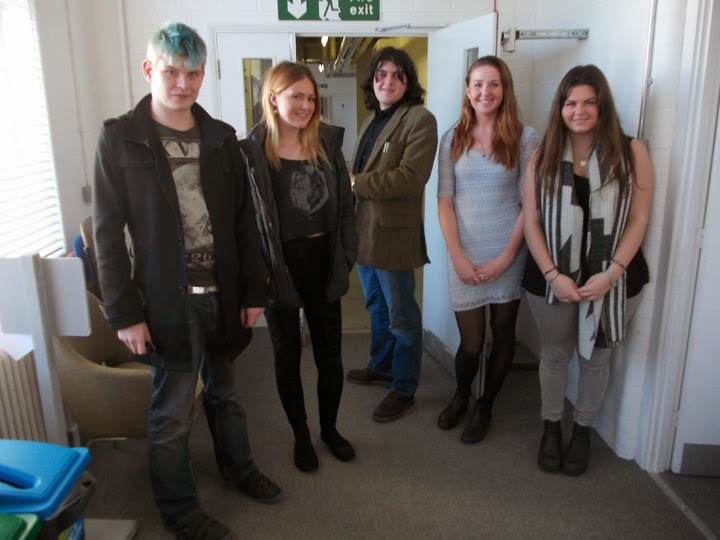 Some of the group posed for a photo to be engraved by the laser cutter, in Photoshop we turned the Jpeg into a Bmp file ready to be engraved.